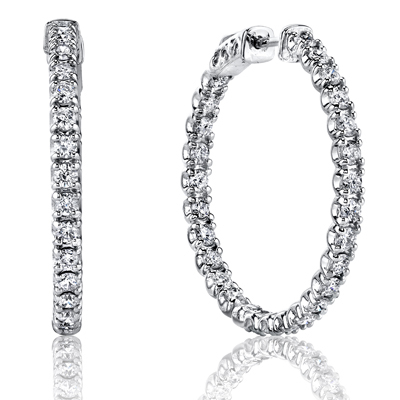 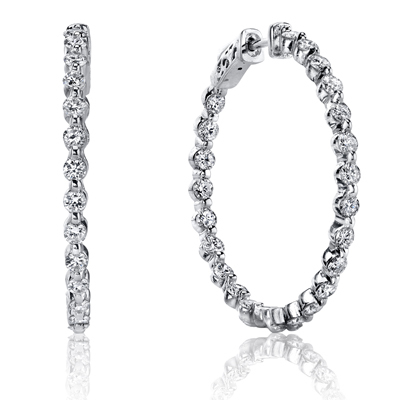 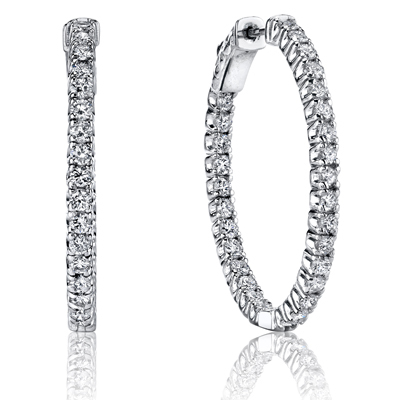 These stylish 14k white gold oval hoop earrings with diamonds have 1.00 total carat weight of white round cut diamonds set in a prong setting. 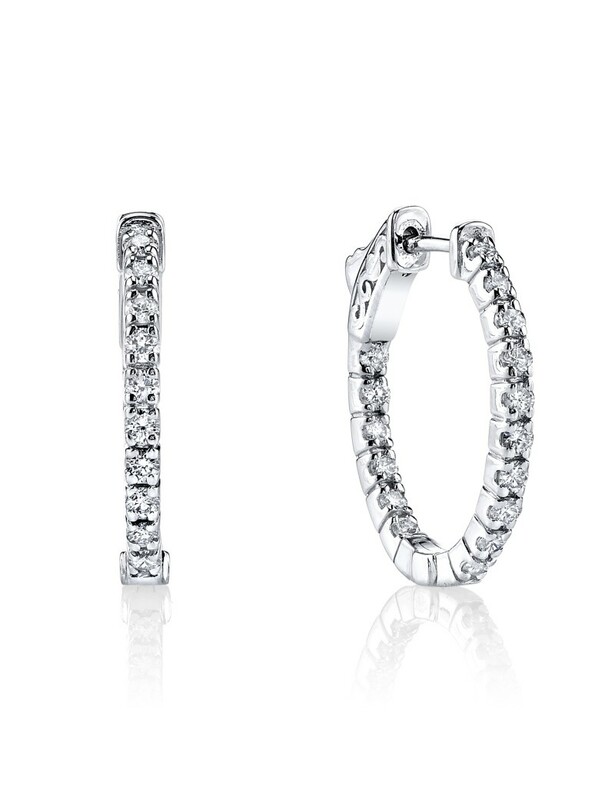 With these sparkling diamonds crafted in an inside outside pattern, they help make these diamond earrings even more beautiful. The patented lock secures the earrings.